Ranges from transparent or translucent to varieties such as citrine (yellow to orange), rose quartz (pink), amethyst (light to dark purple), smoky quartz (brown-tan-black). Milky quartz is a creamy white with some yellow tones. Rutilated quartz is often deep yellow to gold or red, but the interest is in the “rutiles,” or tiny hair-like inclusions. Citrine quartz is one of three traditional birthstones for November, and amethyst is the birthstone for February. 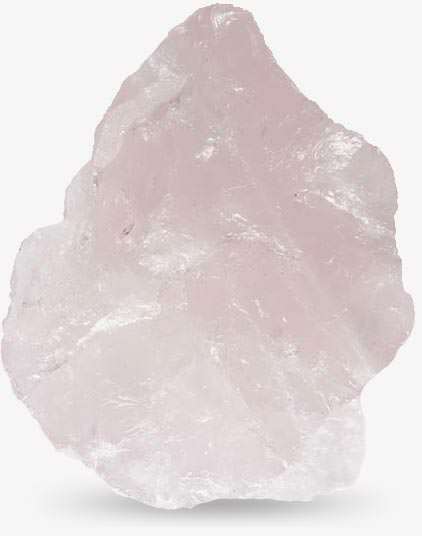 In ancient times, people believed quartz was formed of petrified ice, and most primeval cultures revered quartz. Quartz is versatile and can be set in all jewelry styles. Can have color enhanced by heat, irradiation to intensify the color. All treatments must be disclosed. Clean with mild soap and water, wipe with a soft cloth.